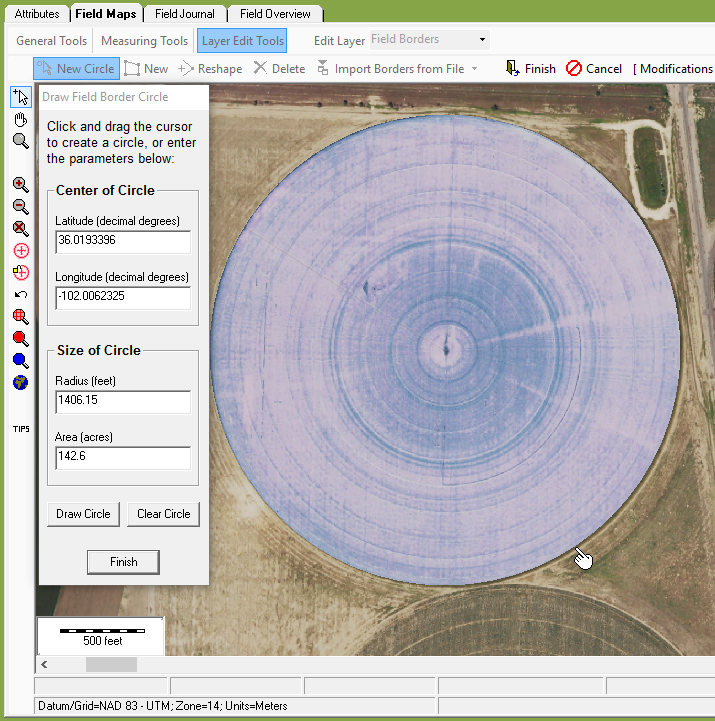 Add Circle Field Borders - FieldX Inc.
To get started, click on the Field Maps tab, then Layer Edit Tools. Manually type in the GPS Coordinates of the Pivot Center. 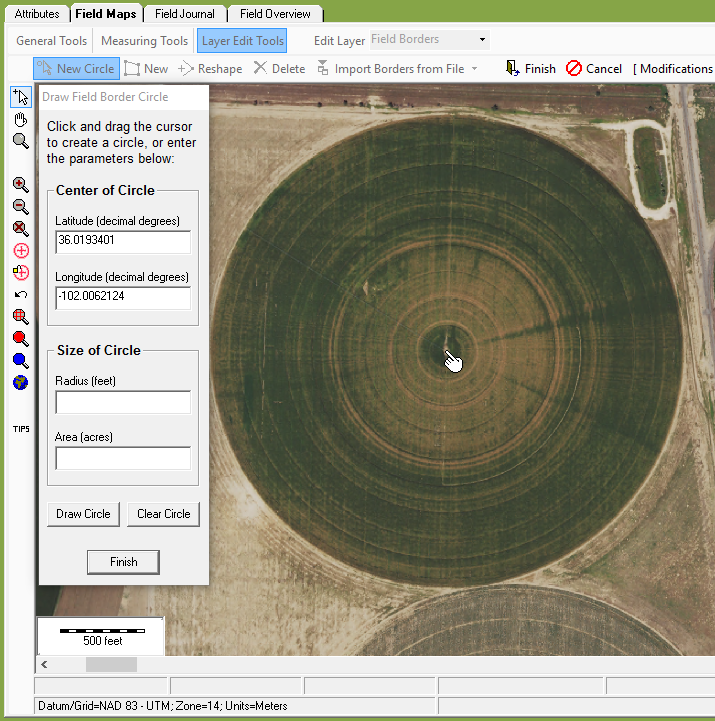 Type in the Radius or Total Acreage of the circle. If you enter in the radius, you will need to click ‘Draw Circle’ to view the circle on the Map. Click ‘Finish’ to complete the drawing of the field. Click on center of circle to start drawing, and to add Lat/Lon of center to drawing tool. Click and Drag to draw circle.